We Picked Out The Coolest Laptop Sleeves For The Sassy Girl! Never stop growing because the sky is the limit. Ever heard of this saying? Well, well! We at POPxo have taken this a tad bit too seriously and so, we've come out with the coolest range of merchandise! Keeping all you workaholic chicas in mind, POPxo's Private Label includes a range of laptop bags. 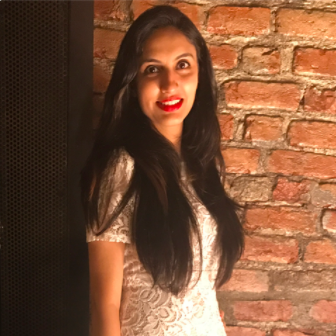 There are five different collections for all your different moods: So Desi, Go POP, My POPxo, Boss Woman and Wanderlust. 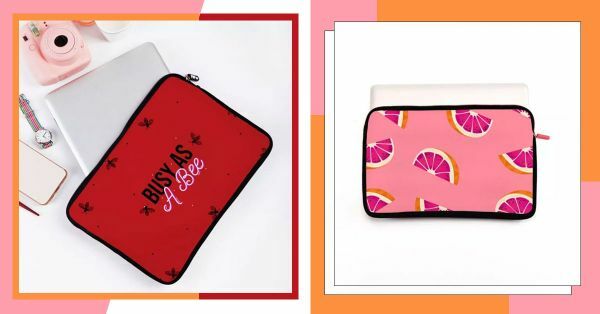 For the girl who cannot live without her laptop, but is blessed with butter fingers should definitely take a look at all these amazing laptop sleeves. They will not only protect your precious lappies (lifesaver alert!) but will also easily establish your sassy status. Are your friends always complaining that you don't have time for them because of kaam, kaam and kaam, but you are secretly not at all guilty about being a busy bee? This hella cute laptop sleeve is perfect for the girl who not only loves her work but is also proud of this tiny fact! Are you someone who always gets stuff done, by hook or by crook? Someone who is always looking for new things to do and master? This laptop sleeve is the perfect pick for you in that case! Go get 'em, girl! Life can be a non-stop vacation if you want it to. All you have to do is be positive, be happy and spread joy all around you. Also if you're someone whose mind is always wandering and you're always looking for new places you can visit over the weekend, then this laptop sleeve will help you echo your feelings very well. Oh aren't those the best kinda plans? When you just wake up one day, feel like going out somewhere and set out with your besties? If you are a go with the flow kinda person, then show off your adventurous side with this super duper cool laptop sleeve. Bring on the sass by showing off your sarcastic queen side on your laptop sleeve. Everyone will know that you're not someone they can mess with. Whatte fun! Unleash the Punjabi within you with this funky AF laptop sleeve. And the best part, you ask? It'll do all the talking on your behalf! A little bit of sugar, a lillte bit of spice. Embrace the best of both worlds with this colourful and quirky sleeve. If tension lene ka nahi, dene ka has been your motto in life, then this laptop sleeve is what you need to show off your attitude. Boy broke your heart? Well, sass is the best way to mend a broken heart, so pick this quirky laptop sleeve from the My POPxo range and make yourself feel much better. After all, no guy is worth your tears! Fries are perfect in every way - they are yummy, they fill your tummy, they don't fight back and they never let you down. You do the math!